We're so used to our Latin alphabet that sometimes we forget that there are many other sets of characters, including the Arabic one. And what happens if we need to write in Arabic on our computer? 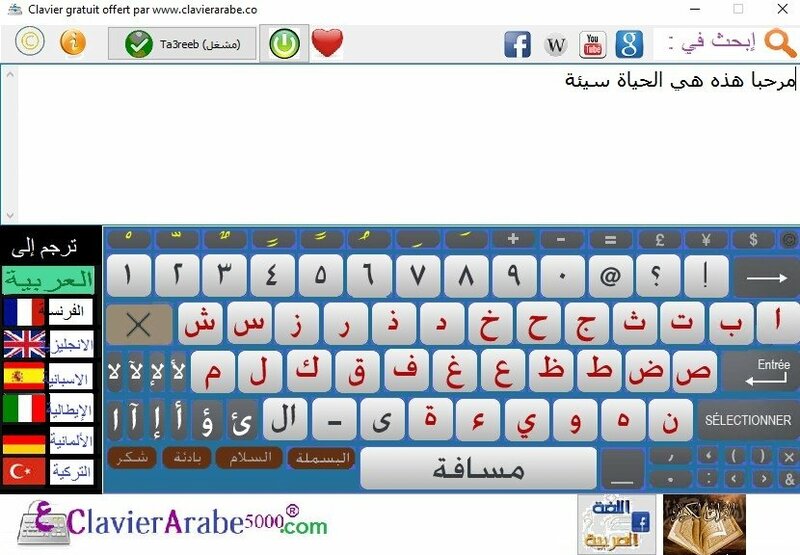 We probably wouldn't know where to start, but luckily enough for us there's an application called Arabic Keyboard 5000. It's a virtual keyboard with which we can write in Arabic without any trouble whatsoever. The ideal tool to write in the language of the Quran. The program offers us several keyboard layouts to choose from and we can translate what we're writing to several languages, including English, Spanish, German, Turkish, French and Italian, by means of the corresponding buttons on the interface. Furthermore, we also have shortcuts to the most popular webs on the Internet such as Facebook, Wikipedia, YouTube or Google to be able to search directly in Arabic.